Bryan Moffett is chief operating officer of National Public Media (NPM), a subsidiary of National Public Radio (NRP). NPM manages sponsorships for NPR, PBS and numerous local public media stations in the U.S. As a result, NPM has a big role in NPR’s digital strategy and Bryan has been working with interactive voice since 2014 on mobile. More recently, NPR content and podcasts were integrated by Amazon into Alexa. NPR is responsible for many of the top podcasts today and has the most recognized brand in audio news. 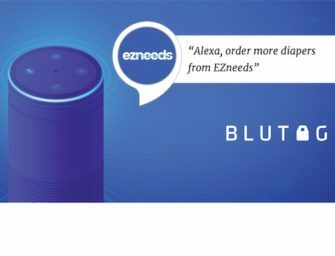 The organization’s unique audio content portfolio ensures it will have a big role to play as voice assistants become more integrated into our everyday lives. One event in 2016 led to a re-examination of the organization’s strategy around voice (i.e. it became a bigger focus). Over 500,000 listeners accessed NPR content on a single day through Amazon Echo. In the interview, Bryan shares what NPR has learned about voice interaction since 2014, the current focus around Alexa and Google Assistant and what an in-depth ethnographic study, and survey taught them about how people really use the devices. Amazon Executives Detained by Alexa?